Artwork from a frieze of the Four Evangelists by Leopold Bruckner. St. John, Apostle and Evangelist. 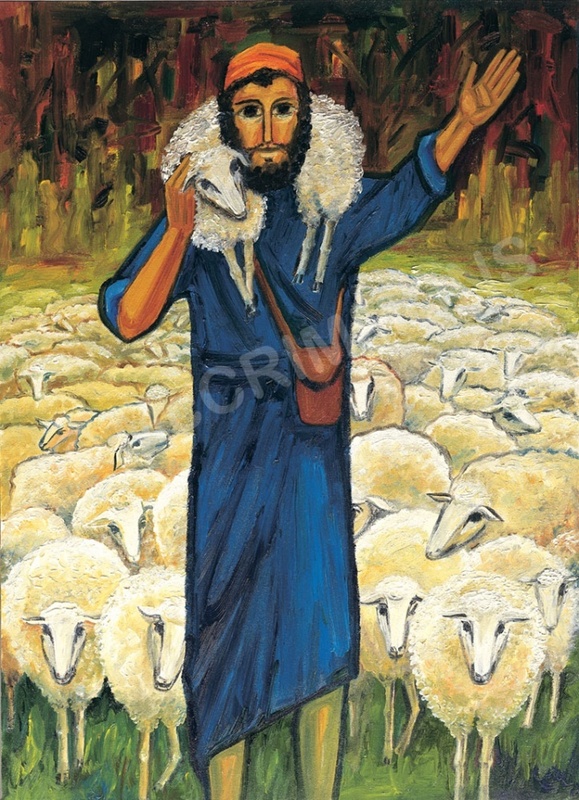 Brother of James the Apostle & son of Zebedee he was called, whilst a fisherman, to follow Jesus. He is referred to as 'the Beloved Disciple' present at all the significant points in Jesus' ministry; he stood at the foot of the Cross and was one of the first eye-witnesses, with Peter, to the resurrection. John wrote the fourth Gospel, three Epistles and the Apocalypse (Revelation). His writings are profound and focus on Jesus' divinity, glorious nature and the centrality of love to the Christian message. His traditional symbol is an eagle.